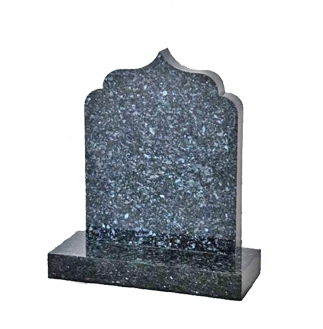 M16 - Wide Off Peon with champhers and matching reflected base shown in Bahama Blue Granite. 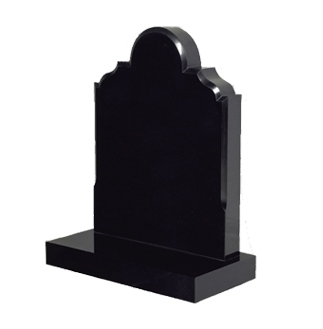 M17 - Colby with champhers and Splay base shown in Emerald Pearl Granite. 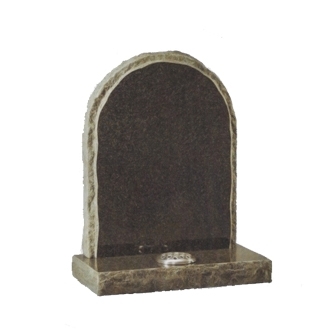 M18 - Wide Colby with champhers, barrell sides and Splay base shown in Fern Green Granite. 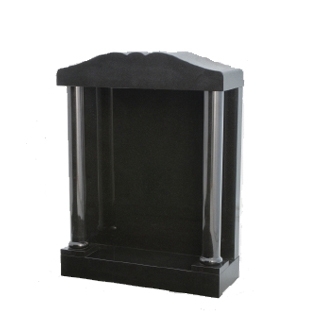 M19 - Stepped Top memorial with barrell sides, Splay base and 2 extra vases shown in Black Granite. 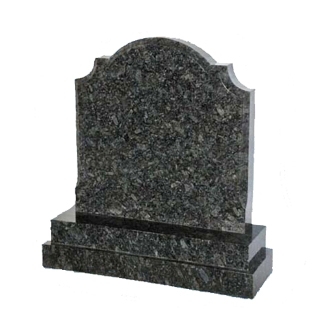 M20 - Wide Colby with champhers and double base shown in Dark Grey Granite. 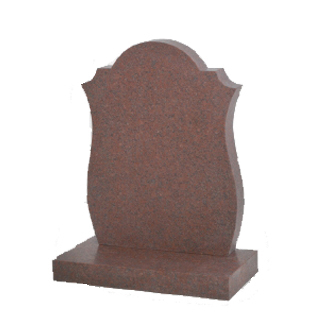 M21 - Colby with Serpentine sides shown in Ruby Red Granite. 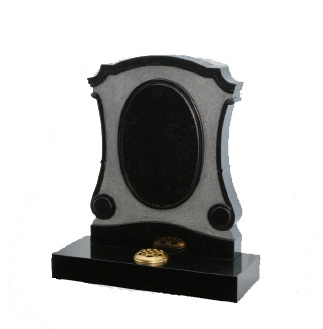 M22 - Raised Oval with Scroll sides shown in Black Granite. 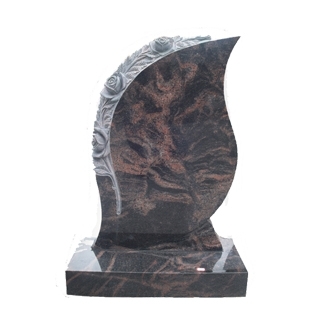 M24 - Rounded Peak top with rounded shoulders shown in Blue Pearl Granite. 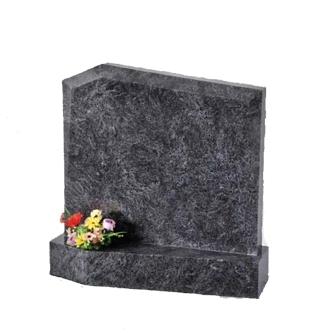 M25 - Full Round with Rustic edges and base shown in Dark Grey Granite. 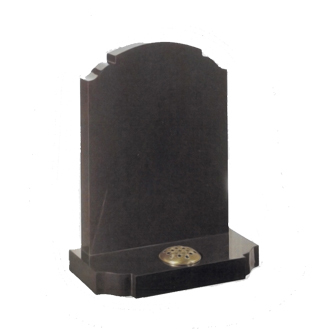 M26 - Ogee with Rustic edges and base shown in Black Granite. 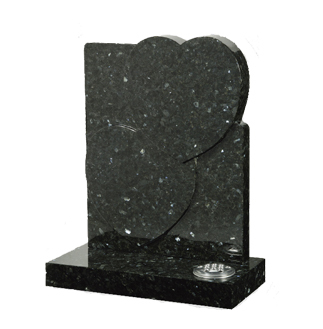 M27 - Pillar Memorial shown in Black Granite. 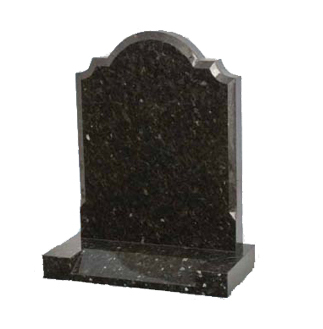 M28 - Full Round with Rounded Shoulders, champhers and a reflected base shown in Fern Green Granite. 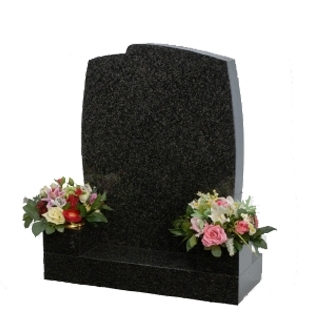 M29 - Half Round with Scolloped Shoulders and edge detail shown in Black Granite. 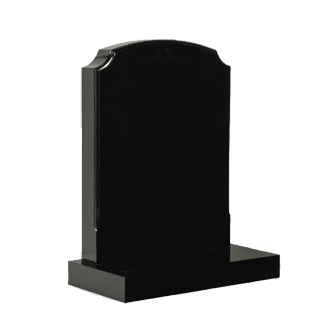 M30 - Full Round with Ogee Shoulders and champhers shown in Black Granite. 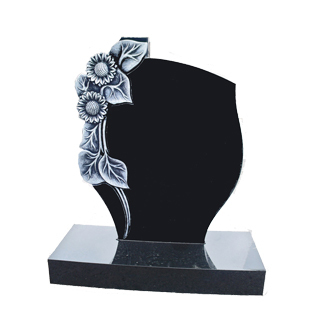 M32 - Sunflowers carved on a Black Granite memorial - Granite Colours Only. 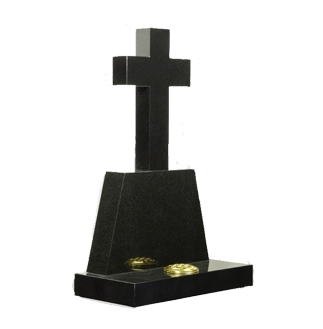 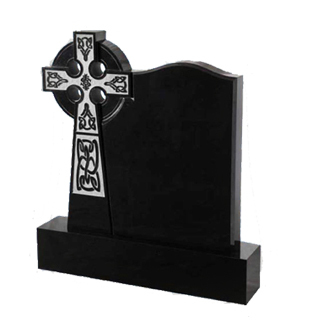 M38 - Full Cross memorial, shown in Black Granite - Granite Colours Only. 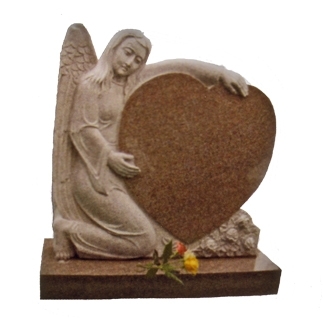 M39 - Angel Holding A Heart memorial, shown in Ruby Red Granite - Granite Colours Only. 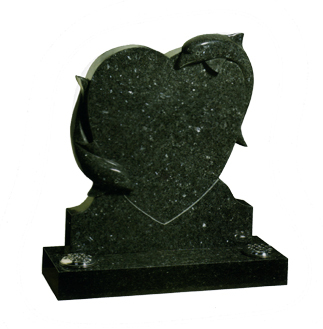 M40 - Heart and Dolphins memorial, shown in Emerald Pearl - Granite Colours Only. 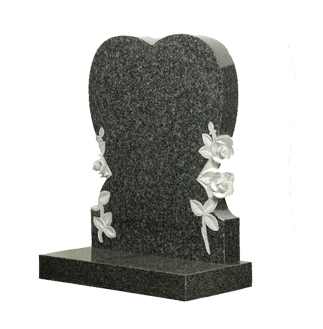 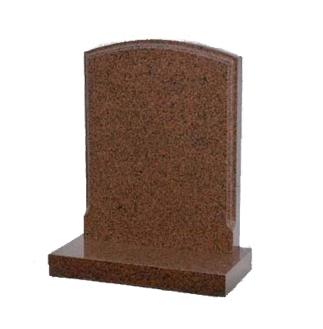 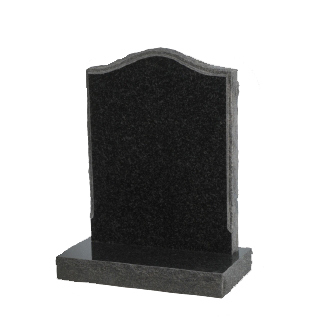 M41 - Heart with Roses memorial, shown in Dark Grey Granite - Granite Colours Only. 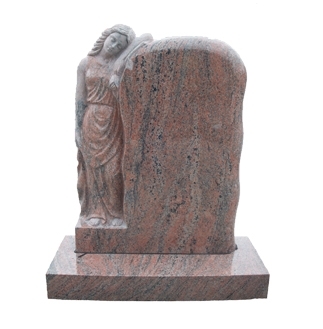 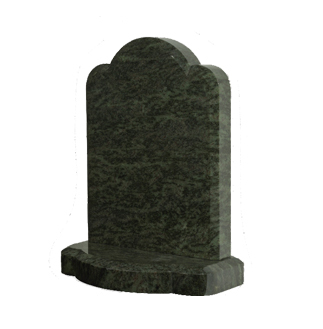 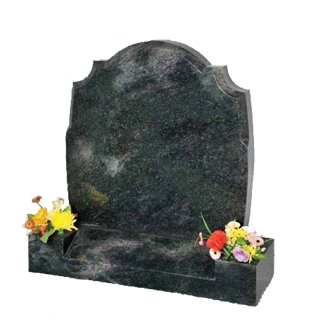 M49 - Lady and Rose memorial, shown in Paradiso Granite - Granite Colours Only.